Earlier today, I had the pleasure of speaking with Sally Boynton Brown, executive director of the Idaho Democratic Party and a candidate for DNC Chair. We had a productive conversation about potential applications of my research for the current political situation — using the charismatic strategies of the past to elect Democrats today. At the end of our chat, Boynton Brown encouraged me to publicize the report I wrote for her. Click here to read the report, and please share if you feel so moved. 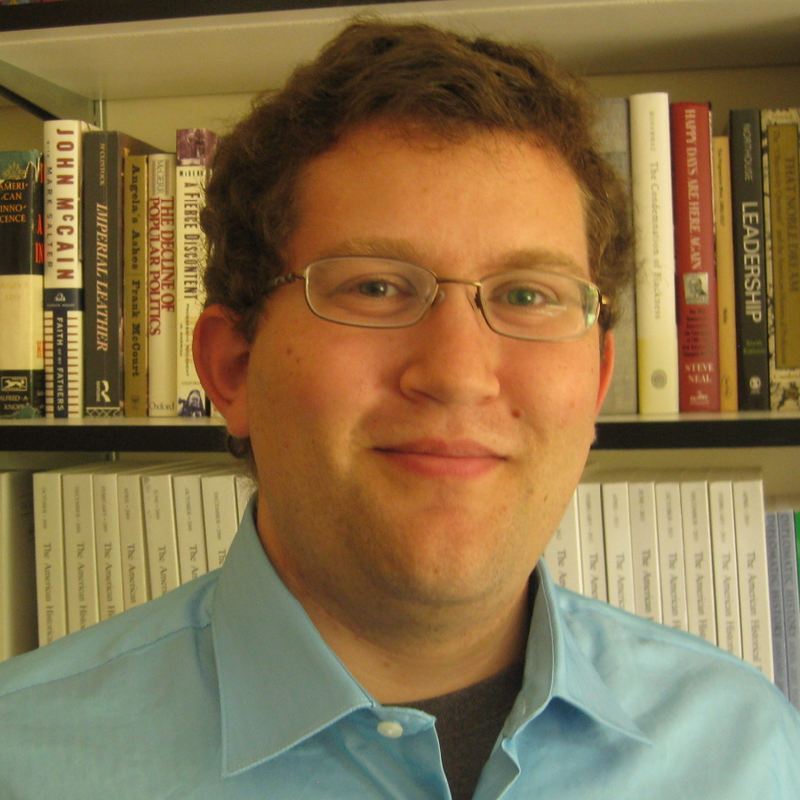 I’m grateful to Rick Brewer, a history graduate student at Indiana University, for interviewing me for his excellent podcast, The Past Cannot Die. You can find the interview below. Thanks to the moderators at /r/AskHistorians for letting me do an AMA for members of that vibrant community of history enthusiasts. I highly recommend other historians take advantage of this opportunity; the questions AskHistorians members asked about my book were among the most thoughtful and perceptive I’ve received. Click here to read their questions, and my responses. In an op-ed, I argue that Donald Trump and Bernie Sanders represent a throwback to the Age of Charisma. At HippoReads, I’ve written an op-ed suggesting that the rallies held by Donald Trump and Bernie Sanders during the 2016 election cycle represent the resurgence of the sort of emotional politics that predominated during the Age of Charisma. Democrats, I argue, need to reclaim the politics of emotion the Left once embraced if they hope to win elections in the future. Click here to read the op-ed. Update, February 6: This op-ed is now republished at History News Network! Click here to read it there. King believed extremism was a misnomer. He wasn’t the only one. When I teach Martin Luther King, Jr.,’s Letter from a Birmingham Jail in my U.S. survey course, we have a lot to talk about. There is the passage on the concept of the unjust law; the passage rejecting gradualism (“‘Wait’ has almost always meant ‘Never'”); and the famous passage lacerating the white moderate that is making the rounds on Facebook today. However, I want to highlight another passage from the Letter, one of the most beautiful and true things King ever wrote. Though I was initially disappointed at being categorized as an extremist, as I continued to think about the matter I gradually gained a measure of satisfaction from the label. Was not Jesus an extremist for love? … Was not Amos an extremist for justice? … Was not Paul an extremist for the Christian gospel? … Was not Martin Luther an extremist? … And John Bunyan? … And Abraham Lincoln? … And Thomas Jefferson? … So the question is not whether we will be extremists, but what kind of extremists we will be. Will we be extremists for hate or for love? Will we be extremists for the preservation of injustice or for the extension of justice? Those sentences, I tell my students, were uttered just a year after King wrote the Letter. Who said them? Students will often guess that it was King again, or Malcolm X, or Lyndon Johnson. They’re surprised when I tell them the answer: it was, of course, Barry Goldwater. King and Goldwater, each in his own way, understood that America is a force for good only when it is a force for change. Why did King and Goldwater, two very different political thinkers, voice the same discomfort with being labeled extremists, using nearly identical language? In the classroom, I let my students come up with their own answers. But here’s my explanation: King and Goldwater, each in his own way, understood that the charge of extremism is a tool of the status quo, designed to silence dissent. Each realized that to be American is to recognize that there is something deeply wrong with America, and to do one’s utmost to fix it. Each recognized that America is only a force for good only when it is a force for change. They can’t both have been right about what change was needed, but they were definitely both right that something needed to be done. At The Junto: A Group Blog on Early American History, I have a guest post on the part of my book that deals with early America: the medical doctor James Rush (son of Declaration of Independence signer Benjamin Rush) and his invention of the speaking style of personal magnetism. 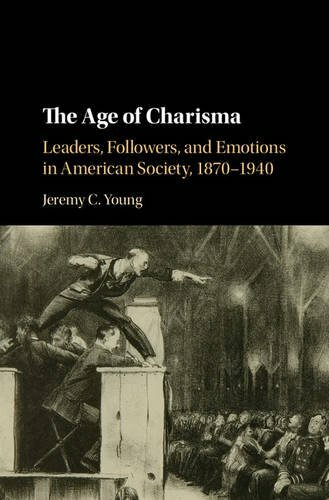 In the post, I address the professional divide between scholars of early America and modern America, and how it almost prevented me from discovering Rush’s influence on charisma. Click here to read the post. Thanks to Ben Park at The Junto for giving me this opportunity! Jeremy C. Young Create a free website or blog at WordPress.com.